Ryan Hellman founded H&A in 1998 and has built it into a full-service EHS outsourcing business comprised of more than 20 industry-leading EHS professionals who thrive on serving customers and forging relationships. Ryan’s vision is to balance regulatory compliance and risk management with internal cost savings, timely service, and common sense. To this end, he has continually expanded and improved H&A to the growing and evolving needs of his clients. Since its inception, Ryan has grown the organization to more than a dozen full-time EHS experts, upgraded the company’s headquarters to a large facility with onsite equipment repair and training facilities, extended client services nationwide, and achieved recognition as the first and only EHS consulting business in OSHA Region VIII to earn Voluntary Protection Program (VPP) Star status from OSHA. Ryan’s attentiveness to client challenges has led to the development of value-added offerings including gas detection equipment sales and servicing, increased regulatory compliance coverage beyond just OSHA, and the creation of H&A’s proprietary ASSUREDCompliance Software™ that enables companies to easily manage complex, multi-site requirements. Ryan’s success growing H&A has earned him respect as an entrepreneur and inspirational leader in safety culture development. He is a published author and active in bringing safety to the forefront in his community. Bobby Lewis’s background is in pharmaceutical and medical equipment account management sales and product marketing, a field which requires the ability to quickly understand customer needs, connect them with precise solutions, stay current on market requirements, and re-connect when technology emerges that will provide clients with a competitive advantage. During his 12-year tenure in the Healthcare and Life Sciences industry, Bobby developed strategic partnerships with key customer clinical opinion leaders and multi-million dollar supplier partners who called on him to help identify strategic opportunities that positioned them for growth. Prior to joining H&A, Bobby was an Account and Product Marketing Manager for the largest Emergency Medical Services (EMS) product supply company in the United States. He worked alongside physicians, nurses, paramedics, contracting professionals, and standardization committees to identify and implement new product solutions that increased patient survival rates and EMS care. This spirit of forming partnerships with clients has made Bobby a natural fit at Hellman & Associates. Clients look to him to help them identify how H&A’s risk assessment and outsourced safety management services can help them protect their assets, save them money, and make them more competitive in the marketplace. Bobby’s dedication to customer success has helped H&A grow its customer base, but even more importantly, retain our client partners. As a client advocate, Bobby works closely with his EHS counterparts on the H&A Leadership Team to provide ongoing value and responsive service that result in lasting partnerships. Mitch Little has over 32 years of professional experience as an industrial hygienist and safety professional in OSHA consultation and private industry. As the EHS Manager for a privately held heavy highway construction contractor for 10 years, Mitch was responsible for OSHA, MSHA, and DOT compliance. Additionally, he has 12 years of experience as a Senior Industrial Hygienist with Colorado’s OSHA Consultation Program, 3 years in private consultation, and was a Safety Engineer in semi-conductor manufacturing. Mitch has provided health, safety, and fleet management consultation services to hundreds of businesses in Colorado and managed safety and health programs for companies in a variety of industries. 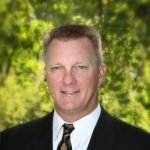 As a Principal Consultant at H&A, Mitch applies his knowledge and experience in the disciplines of industrial hygiene, hazardous materials management, manufacturing and construction safety, health and safety program development, and fleet safety to assist clients with OSHA, MSHA, and DOT/FMCSA compiance. He is also the Principal Consultant involved in gas detection equipment sales, installation and service. Mitch’s precision and attention to detail are evident in all of his client engagements, whether he is evaluating physical and chemical exposures, conducting training, managing workers’ compensation cases, or maintaining client information on ISNetworld, PICS, and other Contractor Safety (ECCS) websites. Mitch holds a B.S. in Zoology from Colorado State University and an M.S. in Environmental Health with an emphasis in Industrial Hygiene from Colorado State University. Craig Snyder brings more than thirty years of experience as an EHS professional to the Hellman & Associates leadership team and has developed and delivered programs that improve EHS culture from the plant manager’s office to the plant floor. Prior to joining H&A, he worked as a senior corporate EHS manager, overseeing multiple facilities for a large food and beverage firm with expansive manufacturing, storage, and distribution operations across the U.S. While there, he was instrumental in the development, implementation, and maintenance of EHS compliance and best management programs, including OSHA’s Voluntary Protection Program (VPP). Previously, Craig gained substantial EHS expertise in the Healthcare and Life Sciences industry working for a large medical device manufacturing facility. He has also worked as an environmental engineer for a national consulting firm specializing in bio-remediation of historic and large fuel contaminated sites. Craig started his EHS career in the US Air Force as a Bioenvironmental Engineer, leading and supporting EHS programs at a large logistics base in California. Craig applies his knowledge and experience in the disciplines of facility and corporate safety management, EHS management system implementation, injury prevention and case management, contractor pre-qualification and safety oversight, industrial hygiene, and OSHA and EPA program compliance to support H&A’s clients and field consultants. Craig was a Distinguished Graduate from the United States Air Force Academy with a B.S. in Biology and holds and M.S. in Environmental Engineering from the University of Colorado at Boulder.